Marshall is an elegant tuxedo cat, dressed to impress. He was born on 11/1/18 and trapped in Hempstead. 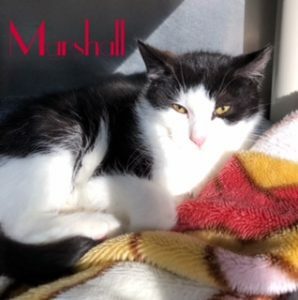 Marshall was rescued, lovingly fostered, and is now ready for his forever home. Come meet this adorable boy! You will want to make him part of your family.